Fifty Years in Baker Street. 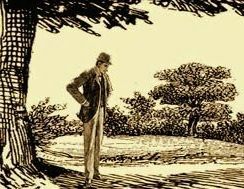 This book is a rare collaboration between the BSI and one of its scion societies, The Cimbrian Friends of Baker Street. 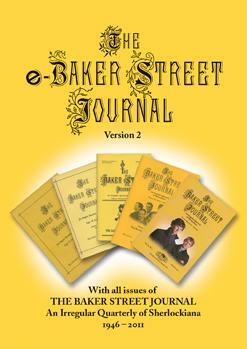 The Baker Street Irregulars has hundreds of scion societies in the U. S. and, perhaps surprisingly to most Sherlockians, an additional three scions overseas: Sherlock Holmes Klubben I Danmark (Danish Baker Street Irregulars); The Cimbrian Friends of Baker Street (sub-scion of above Danish society); and Uno Studio in Holmes (Italian Sherlock Holmes Society). Our foreign Irregulars have contributed mightily to BSI Publications. To list just a few: Gianluca Salvatori and Enrico Solito were co-editors of Mandate for Murder; Bjarne Nielsen was editor of Scandinavia and Sherlock Holmes; and now Jens Byskov Jensen gives us his 50-year history of The Cimbrian Friends.